‘Tis the season for remakes of old faves (alright, so lately that’s every season, but the point still stands), and this time we’re getting Stephen King’s Pet Sematary back from the dead. Paramount will be making a new adaptation of King’s 1983 horror novel to be released on April 19th, 2019. We’re pretty excited (Barry Allen probably is too) to already have a date two years out, so those of us who are into having the bejeezus scared out of us can put it on their calendars. And those of us who are total babies know what day to avoid going to movies with friends. Everybody wins — thanks, Paramount! The new version of Pet Sematary comes from filmmakers Kevin Kolsch and Dennis Widmyer, who made a film called Starry Eyes together. If you’re not a horror movie buff, you might not be familiar with it. But rest assured, these dudes know the genre if their credits are any indication; they’ve even directed a few episodes of the Scream TV series. The remake will be written by Jeff Buhler, another horror genre guy you may not have heard of, but his credits also pretty exclusively live in that genre, so that’s a good sign, right? 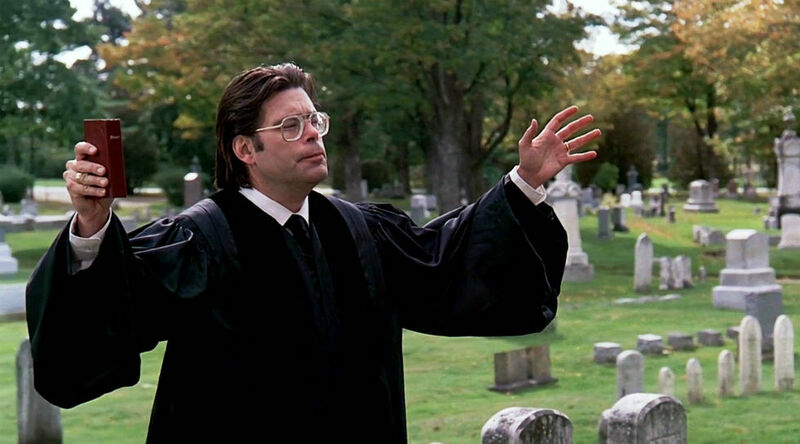 In case you missed the book and the 1989 film, directed by Mary Lambert and written by King himself, Pet Sematary is a creepy story about “an ancient burial ground where the dead don’t rest in peace,” as Entertainment Weekly describes. Yep. Yikes. King has been having a moment lately, with It, Gerald’s Game, and The Dark Tower all getting the big-screen treatment, but we’re especially excited to get a new film version of one of our favorite scary stories.